What we now refer to as “The Snowy Mountains” region was once, and for tens of thousands of years, the exclusive domain of indigenous people. In particular it was home to the Ngarigo, but was also visited for seasonal feasting on the Bogong Moths by people of the Ngunnawal, Wiradjuri, Jaimathang, and Walgalu (and perhaps other more distant groups also). Now the area is used for a range of purposes, which are often in competition or open conflict over their respective claims to the land. It is a place of wilderness parkland, winter skiing and summer bike riding, heritage and commercial development, irrigation storage and hydro-electricity generation, pastoralists and tourists, all alongside each other. The land is marked by evidence of their various pursuits – pipes and dams, ski lifts and feral pigs (and horses and rabbits etc), fences and fire trails, mountain huts and luxury resorts. 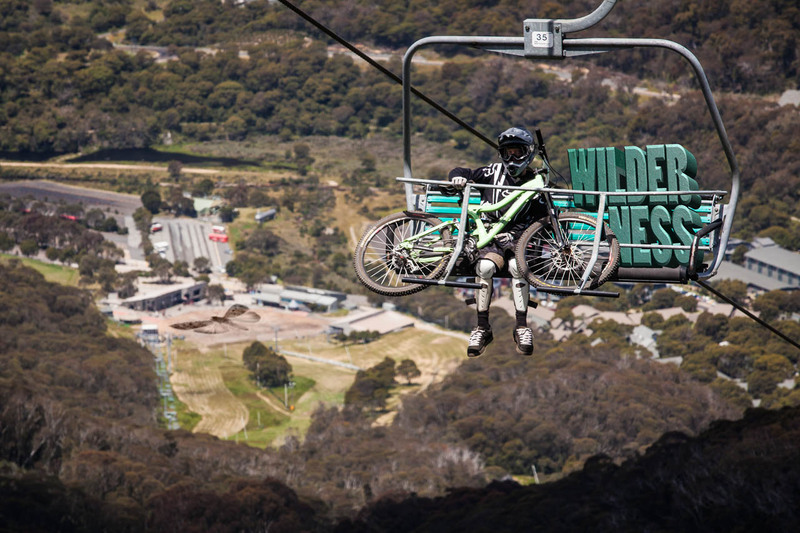 In this image, looking down to Thredbo Village from near the top of the Crackenback chairlift, adventure sport and wilderness are placed side-by-side, metaphorically sharing the same lift up the mountain. Down below, at the out-of-focus resort, a giant Bogong Moth rests on the ground as if on a helicopter landing site.